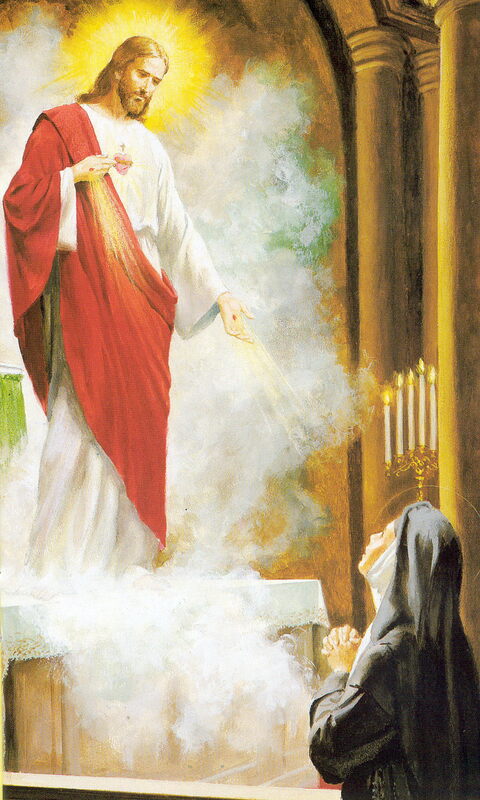 I N— N—, give myself and consecrate to the Sacred Heart of our Lord Jesus Christ, my person and my life, my actions, pains and sufferings, so that I may be unwilling to make use of any part of my being save to honor, love, and glorify the Sacred Heart. I therefore take Thee, O Sacred Heart, to be the only object of my love, the guardian of my life, my assurance of salvation, the remedy of my weakness and inconstancy, the atonement for all the faults of my life, and my sure refuge at the hour of death. Indulgence of three years, plenary indulgence once a month on the usual conditions for the daily devout recitation of this act of consecration.